Quick, concise, and helpful. Looking forward to next visits. Great Experience, very attentive, clear explanations, I feel I can trust to my Dr.! The blessing and the curse of finding a doctor in New York is that there are endless options. It is so refreshing to find one that is knowledgeable, thorough, courteous, caring and efficient. I found the entire staff to be so helpful and pleasant to work with. I'll definitely be recommending Dr. Rahman to others. Wait is not long. Efficient and productive appointment. Dr. Rahman and staff take the time to explain what they are going to do and discuss next steps. I went online hoping for a short-notice appointment the next day. The website was easily navigable and quickly found one for the next day. They emailed me quickly to confirm. My appointment itself was also 5 star. The receptionist was friendly, and I got in with almost no wait. Friendly nurse, who was also straight to the point. 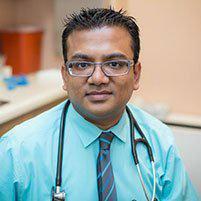 Dr. Rahman soon followed, listening to my problem and concerns and easily and quickly treated me. As I'm no huge fan of doctor's visits I loved the speed and efficiency of this office. They are still quite warm and friendly despite this though. Great experience all in all! Very fast appointment within one day - precise and exact diagnosis and therapy. Dr. Rahman is without a doubt, The Best!!! Excellent attitude, very informative, and he always takes the time to answer any and all questions. Dr. Rahman has been looking out for my health for just about 1 year now, and I trust him & his staff 100%.